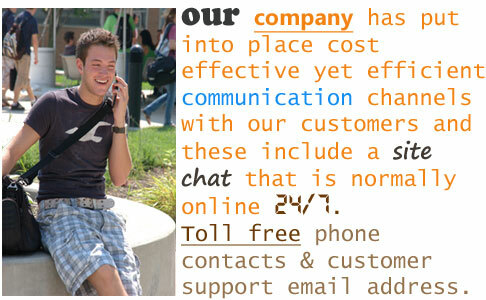 Our system is set in a manner that enables all our customers to derive the very best out of it. We appreciate the value of correspondence with our customers because this is the only way we get to work with you in a way that will be mutually beneficial. To this end our company has put into place cost effective yet efficient communication channels with our customers and these include a site chat that is normally online 24/7, toll free phone contacts as well as a customer support email address through which you can be able to reach us. 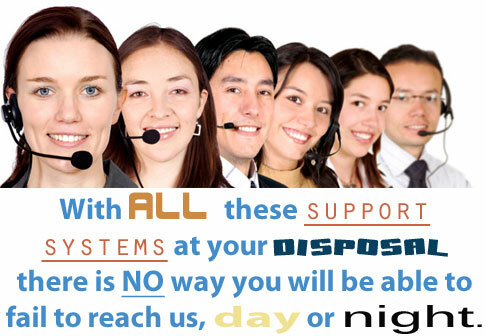 With all these support systems at your disposal there is no way you will be able to fail to reach us, day or night. Whether it is by phone or mail there will always be someone at the other end to respond to your queries and offer practical solutions. In case our online chat is offline due to some reasons you can always leave a message and the effect will be just the same as if you had chatted. The support system is especially necessary when your order is being processed. We will need to keep in touch at all the times so as to assure you that the order is being worked on and will be delivered on time while you need to be available in case the writer needs some clarification on an issue touching on the order.